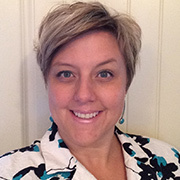 Lisa is a freelance reporter who lives in the Raleigh-Durham, North Carolina, area. 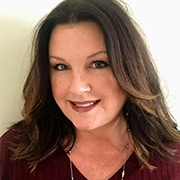 She began her career in 1991 in Vermont and moved to North Carolina in 1998 working in Charlotte until 2013 when her husband’s military career brought her to the Raleigh-Durham area. 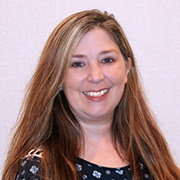 She has been a member of NCRA since graduating from Champlain College and has served for many years on the NCCRA board. Amy lives in Lexington with her husband, Ralph, and their four children. She reported in Broward County, Florida, for 10 years prior to coming to North Carolina where she has reported since 2003. The majority of her career has been as a freelance reporter. Amy has had the privilege to report President Bill Clinton and Laura Bush during their visits to our state. 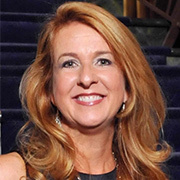 She is a longstanding member of NCRA and has served NCCRA as both director and Vice President. Joann Bunze has been reporting for 25 years. 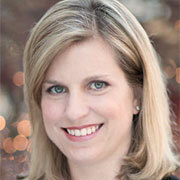 Her career began in New York where she was primarily a freelance reporter. 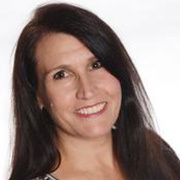 Upon relocating to North Carolina in 2007, Joann’s freelance career continued until 2012 when she partnered up to form Noteworthy Reporting Services and has enjoyed being an agency owner and getting to better know her fellow reporters. In her spare time, Joann enjoys spending quality time with her family and quiet time doing cross-stitch. Cindy has been a freelance reporter for her entire 33 years of court reporting, with the first 16 years working in New England; the last 12 here in North Carolina. She is a member of NCRA and NCCRA. 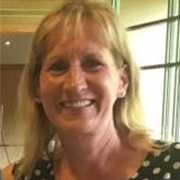 Jenny has been reporting for 18 years, six years in the freelance market doing depositions and CART reporting and 12 years as an Official Court Reporter for the State of North Carolina. She lives in Goldsboro. Deb has been a freelance reporter and an official over the past 32 years. Currently a full-time scopist and a member of NCRA and NCCRA. Lives in Waynesville. Tracy has been a court reporter in Raleigh, NC, since 1993. 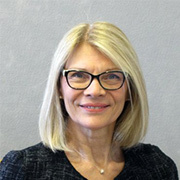 She worked as a freelance reporter until 2002 when she started a court reporting agency in Raleigh, Depositions, Etc., which is currently Depositions, Inc. She helps manage the agency with her husband, Ken, while still working as a court reporter serving clients. 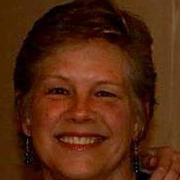 Renee has been a court reporter since 1990 and began her career in PA and NJ before moving to North Carolina in 2004. 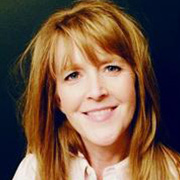 Renee has had a successful career as a freelance reporter covering an array of litigation types and in 2015 formed Queen City Court Reporting with three fellow reporters. Karen is from Oak Ridge, TN and went to the Stenotype Institute of Jacksonville Beach (when it was still located on the beach!). She reported in the Orlando/Sanford, Florida, area as well as Pittsfield/Springfield, Massachusetts. Karen moved to North Carolina in 1992 and has been reporting here since then. Karen is a past Vice President of NCCRA and has volunteered countless hours for the Association. She holds the certifications of RMR, CRR, and CRC. Shari has been a court reporter for over 30 years, graduating from Temple University Court Reporting School in Philadelphia. 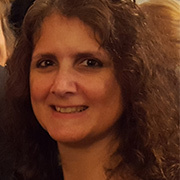 Originally from Bucks County, Pennsylvana, Shari moved down to the mountains of North Carolina in 1998, where she freelanced until she was hired on as an Official Court Reporter for the State of North Carolina in 2000, and is currently in that same capacity working as a Rover in the western counties. She has additional certifications of RMR, CRR and CRC. Maren graduated from court reporting school in October of 1990. Her career has consisted of 16 years as a freelance reporter in Palm Beach County, Florida, 10 years in a freelance capacity in Raleigh, North Carolina. She also worked part-time as a broadcast closed captioner for 9 years.